My poster for Owen’s talk, with images of some of Iris Murdoch’s book jackets by Tom Phillips. This month’s talk is given by Owen Hodkinson, expert in epistolary literature and the ancient novel and author of the forthcoming book Metafiction: The Origins of Self-Conscious Fiction in Classical Literature (Routledge 2015). 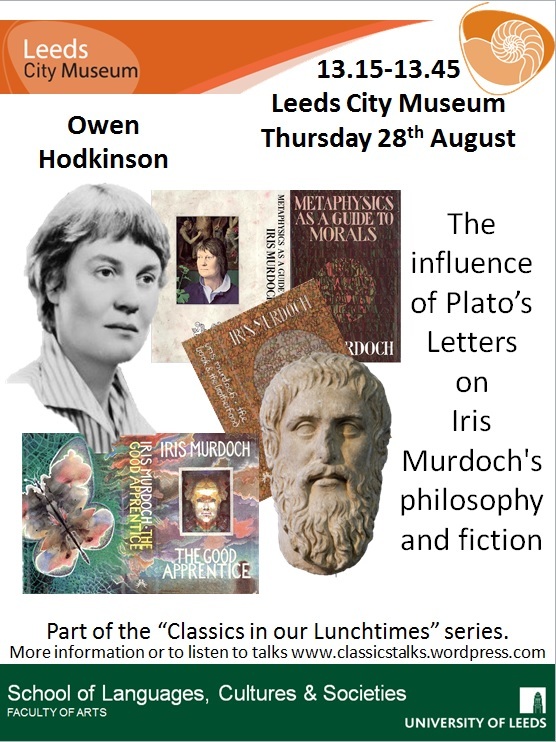 Owen will explore the use Iris Murdoch made of her familiarity, as a philosopher, with the letters written by or attributed to Plato when it came to writing both her own philosophy books and novels.